Author tomstaffordPosted on October 10, 2016 Categories LearningLeave a comment on Do students know what’s good for them? The Hidden Persuaders project has interviewed neuropsychologist Tim Shallice about his opposition to the British government’s use of ‘enhanced interrogation’ in the Northern Ireland conflict of the 1970s – a practice eventually abandoned as torture. Shallice is little known to the wider public but is one of the most important and influential neuropsychologists of his generation, having pioneered the systematic study of neurological problems as a window on typical cognitive function. One of his first papers was not on brain injury, however, it was an article titled ‘Ulster depth interrogation techniques and their relation to sensory deprivation research’ where he set out a cognitive basis for why the ‘five techniques’ – wall-standing, hooding, white noise, sleep deprivation, and deprivation of food and drink – amounted to torture. Shallice traces a link between the use of these techniques and research on sensory deprivation – which was investigated both by regular scientists for reasons of scientific curiosity, and as we learned later, by intelligence services while trying to understand ‘brain washing’. The use of these techniques in Northern Ireland was subject to an official investigation and Shallice and other researchers testified to the Parker Committee which led Prime Minister Edward Heath to ban the practice. If those techniques sound eerily familiar, it is because they formed the basis of interrogation practices at Guantanamo Bay and other notorious sites in the ‘war on terror’. The Hidden Persuaders is a research project at Birkbeck, University of London, which is investigating the history of ‘brainwashing’. It traces the practice to its use by the British during the colonisation of Yemen, who seemed to have borrowed it off the KGB. And if you want to read about the modern day effects of the abusive techniques, The New York Times has just published a disturbing feature article about the long-term consequences of being tortured in Guantanamo and other ‘black sites’ by following up many of the people subject to the brutal techniques. Link to Hidden Persuaders interview with Tim Shallice. Link to NYT on long-term legacy of war on terror torture. The key issue for claims around brain training is that practising these exercises will help you in general, or on unrelated tasks. 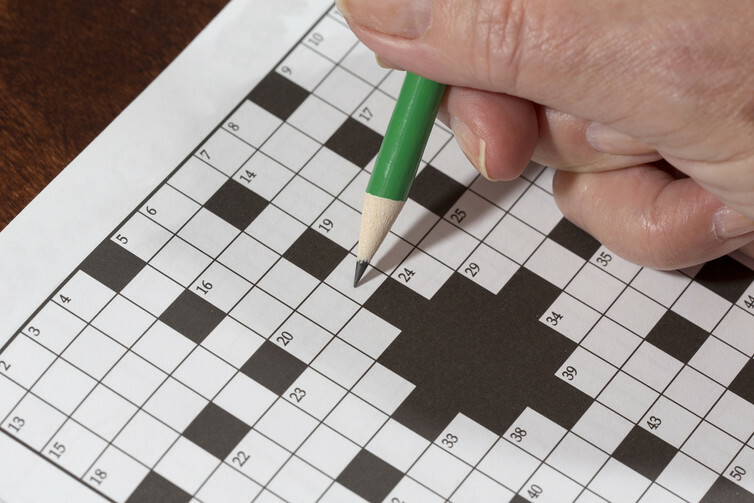 Nobody doubts that practising a crossword will help you get better at crosswords, but will it improve your memory, your IQ or your ability to skim read email? Such effects are called transfer effects, and so called “far transfer” (transfer to a very different task than that trained) is the ultimate goal of brain training studies. What we know about transfer effect is reviewed in Simons’ paper. Doing puzzles make you, well, good at doing puzzles. As well as trawling the company websites, the reviewers inspected a list provided by an industry group (Cognitive Training Data of some 132 scientific papers claiming to support the efficacy of brain training. Of these, 106 reported new data (rather than being reviews themselves). Of those 106, 71 used a proper control group, so that the effects of the brain training could be isolated. Of those 71, only 49 had so called “active control” group, in which the control participants actually did something rather than being ignored by the the researchers. (An active control is important if you want to distinguish the benefit of your treatment from the benefits of expectation or responding to researchers’ attentions.) Of these 49, about half of the results came from just six studies. Overall, the reviewers conclude, no study which is cited in support of brain training products meets the gold standard for best research practises, and few even approached the standard of a good randomised control trial (although note their cut off for considering papers missed this paper from late last year). The implications, they argue, are that claims for general benefits of brain training are premature. There’s excellent evidence for benefits of training specific to the task trained on, they conclude, less evidence for enhancement on closely related tasks and little evidence that brain training enhances performance on distantly related tasks or everyday cognitive performance. The flaws in the studies supporting the benefits of brain training aren’t unique to the study of brain training. Good research is hard and all studies have flaws. Assembling convincing evidence for a treatment takes years, with evidence required from multiple studies and from different types of studies. Indeed, it may yet be that some kind of cognitive training can be shown to have the general benefits that are hoped for from existing brain training exercises. What this review shows is not that brain training can’t work, merely that promotion of brain training exercises is – at the very least – premature based on the current scientific evidence. Yet in a 2014 survey of US adults, over 50% had heard of brain training exercises and showed some credence to their performance enhancing powers. Even the name “brain training”, the authors of the review admit, is a concession to marketing – this is how people know these exercises, despite their development having little to do with the brain directly. The Simons review ends with recommendations for researchers into brain training, and for journalists reporting on the topic. My favourite was their emphasis that any treatment needs to be considered for its costs, as well as its benefits. By this standard there is no commercial brain training product which has been shown to have greater benefits than something you can do for free. Also important is the opportunity cost: what could you be doing in the time you invest in brain training? The reviewers deliberately decided to focus on brain training, so they didn’t cover the proven and widespread benefits of exercise for mental function, but I’m happy to tell you now that a brisk walk round the park with a friend is not only free, and not only more fun, but has better scientific support for its cognitive-enhancing powers than all the brain training products which are commercially available. Author tomstaffordPosted on October 3, 2016 October 3, 2016 Categories Learning6 Comments on Does ‘brain training’ work?